We are the leading manufacturer of corporate badges for corporate organisations. Add a touch of character and professionalism and allow for better secuirty with our staff badges. 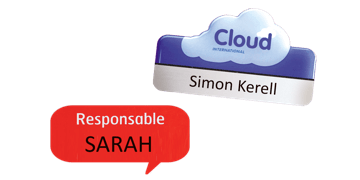 Choose from permanent badges, the ultimate badge for your customer-facing staff or our reusable badges which can be used time and time again by replacing the name insert.